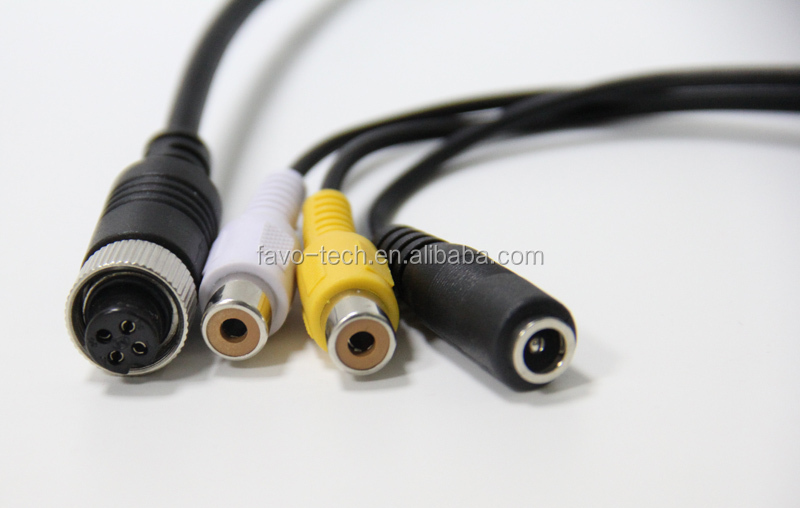 This cable will convert a 4 pin socket into a RCA and power socket. 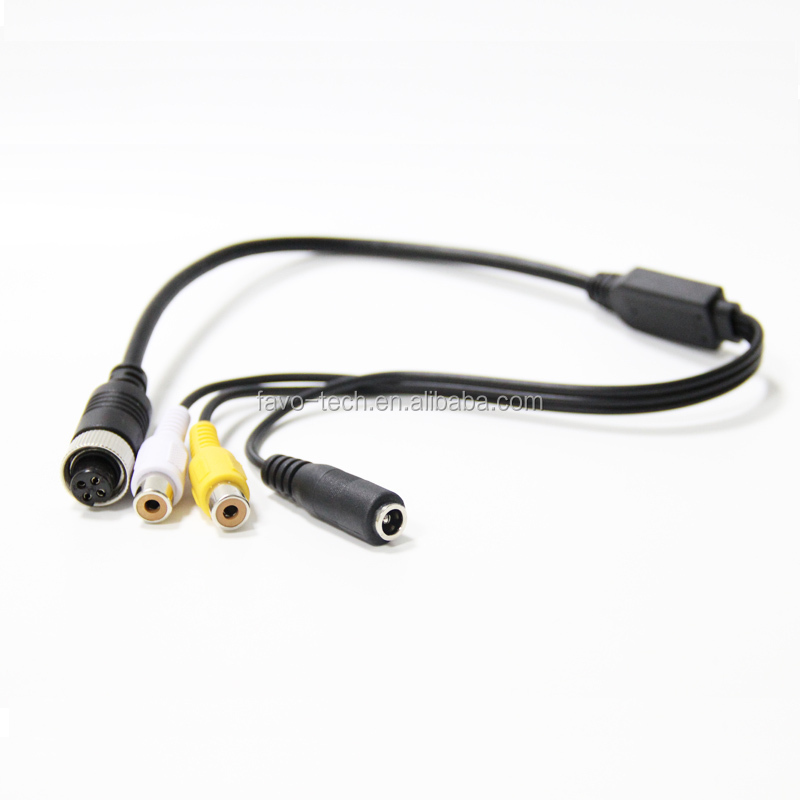 Its main use is with cameras that have a 4pin waterproof plug. 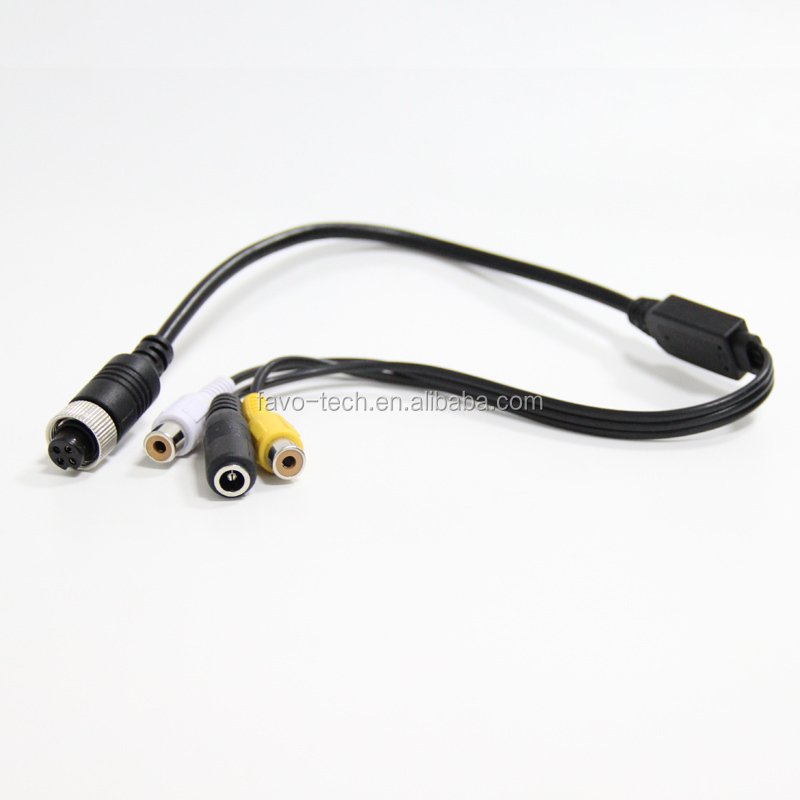 You can then use this with a standard combined video and power cable that has the 4 pin plug and socket. This will allow you to build a system with a camera that has connectors which are locking and waterproof.